Powerful Vehicle Management made EASY! I'm not very experienced with cars...can I use Automotive Wolf ? Absolutely YES! Automotive Wolf was designed for the average car or truck owner. It's also a valuable asset to any home/hobby car enthusiast or even an experienced mechanic! ONLY Automotive Wolf uses experienced automotive professionals to provide the Car Care tips, and maintenance advice included in the software. We asked our team of technical experts for their best recommendations on all the Maintenance and Inspection requirements we use in the software. Each and every requirement can then be disabled or modified so that you can "tailor" the software to each vehicle you own...you can even create your own maintenance requirements! If you have little automotive knowledge simply follow the base recommendations and advice for each requirement and you will keep your car in great running condition and save money on repairs. Will Automotive Wolf predict and remind me when maintenance is due ? Every single time! Each maintenance requirement includes an auto alarm that displays a reminder when you start the software or even when you simply turn on your computer if the boot-up alarm option is set. Each alarm can be turned "off" or "on" depending on your preference. Automotive Wolf's prediction ability is extremely accurate and is configured specifically for each vehicle you create! The reminders can be based on mileage, date or both and are completely user configurable. Automotive Wolf can also display a summary of all maintenance due for all vehicles when you start the program. Can Automotive Wolf really help me diagnose automotive problems ? In many cases YES it can! The Diagnostic utility included in the software allows you to enter the "symptom" of the problem you are experiencing and then offers it's diagnostic analysis of what component may be responsible and advice on what you should do! We even include an Automotive Systems Reference that lets you learn more about most standard components on automobiles. How many vehicles can Automotive Wolf support ? Automotive Wolf utilizes a relational database engine that has unlimited capacity. 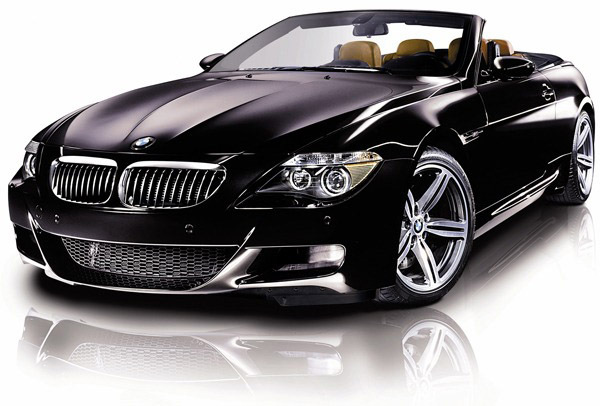 There is also no limit on the number of maintenance or repair records for each vehicle. Do I need to purchase more than one license if I have multiple vehicles ? No. One license will cover all of your vehicles. Can I install the software on more than one computer if I only purchase one license ? YES! Each license you purchase allows you to install and register the software on 3 computers. If you ever lose your Key simply contact us and we will be glad to send it to you. If you release a new version of the software, how much does it cost to upgrade ? It's FREE! Automotive Wolf includes an upgrading menu option in the software that allows you to easily check our web site for new versions and even automatically downloads it if any are available... we do NOT charge for upgrades! Can I track expenses ? Easily! Automotive Wolf's "Cost Analysis" mode displays all expenses recorded for your vehicle in both table and graphical formats. The Reports option in the software will both display and print out beautifully formatted reports for all expense categories (maintenance, repairs, improvements, fuel usage, and much more). A Cost of Ownership report will even break down your expenses into cost/mile , cost/day, cost/year, etc for any category or all categories combined! The Cost of Ownership reports are valuable tools in analyzing if the cost of maintaining your vehicle has become prohibitive. Can I keep a record of parts used on my vehicle ? It's done automatically! Automotive Wolf automatically records each part used for each maintenance or repair record you enter. All relevant information is saved including Part description, part number, cost, quantity and comments for each part. If you need to find and enter the part again you can easily select it from a drop down menu or view all parts for each vehicle in the Parts List. 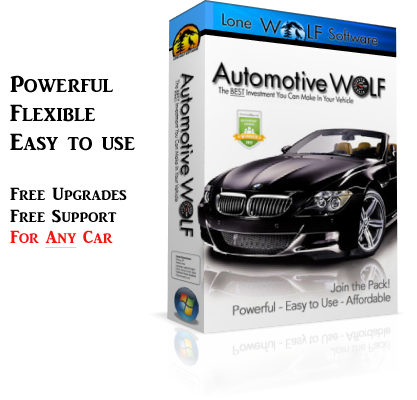 What is the difference between Automotive Wolf and Automotive Wolf PRO ? The PRO version allows you to create unlimited gauges to track any maintenance item and setup Email reminders that automatically notify you when any Maintenance is due on any of your vehicles. is a Trademark of Lone Wolf Software.